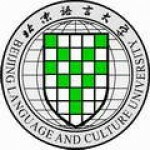 Welcome to the Beijing Language and Culture University (BLCU) forum. Use this space to discuss topics specific to this group and communicate with other group members. This forum contains 1 topic, and was last updated by Isabella Greene 3 years, 7 months ago.